Perfect poem for this picture. It is fascinating. ethereal, both photo and poem! How in heck do spiders do this! My sentiments entirely! Thanks for this response…. ❤ Lovely! The mind really does boggle…. Did he sting himself in the building process?…..did he have a plan? ….. or a degree in engineering? …….does he keep putting it back when it gets ripped down?…….is it an inherited third family home?…… do other spiders envy it?…… and so on ( I didn't see him to ask!). great title, tender web of not so tender spider! wonderful shot! thank you so much. 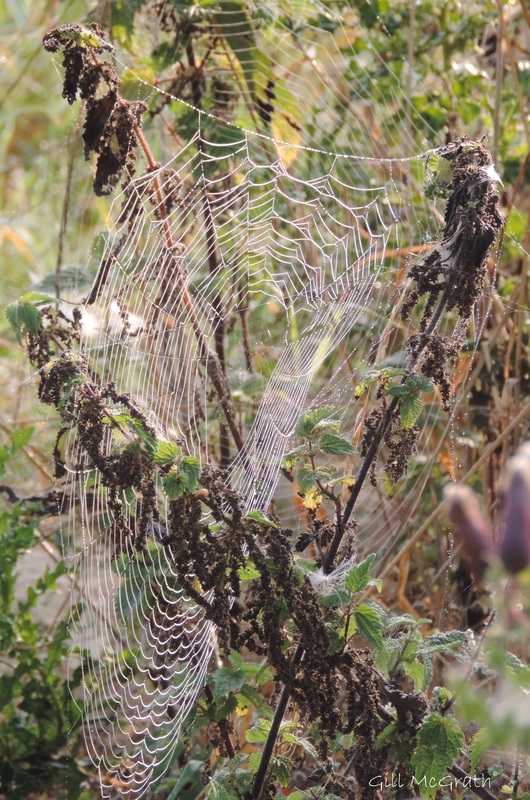 Pristine web, no sign of the builder! He was probably looking at me …..